To expand homecare choices for those with temporary or chronic personal care needs. To help prevent institutional placement of those with chronic health problems. 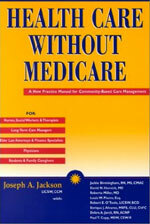 To find the least restrictive alternatives when home care is not feasible. To empower our clients and their caregivers by providing the highest quality support service at the lowest possible cost. We include you and your family in the care-planning process. We work closely with professionals from the legal, financial planning, insurance, and health care communities, connecting these services to ensure continuity in long-term care plans. Contact us for a complete service description. Download a free brochure. We charge on an affordable, sliding fee scale, within your means.